In 2014 and 2015, after Richard had passed away on June 28 of 2014, I gave a short talk at a few of the meetings he and I had often attended, intended to memorialize him and his accomplishments. These were the “Naperville” (now “Chicagoland”) and Cocoa Beach meetings, for example. Several people afterward asked about the additional material and comments I had included, beyond what I had written for this blog, shortly after his passing (you can read that post at: https://modelingthesp.blogspot.com/2014/07/in-memoriam-richard-hendrickson.html ). I really did not feel up to expanding my written remarks during those days, but have not forgotten those inquiries, with which I was certainly sympathetic. So with the fourth anniversary of his passing now at hand, let me return to the topic of Richard’s qualities and contributions, along with a little more about his life. In that previous post, I tried to convey how helpful he was to so many modelers,and how much he worked to get accurate prototype information out to modelers and to manufacturers. That was because he believed that the only way modelers would demand more accurate models from manufacturers, was for modelers to have sufficient information to understand accuracy. Otherwise, they wouldn’t request better models from manufacturers. Let me add some of the photos and commentary that featured in my oral talks about Richard. 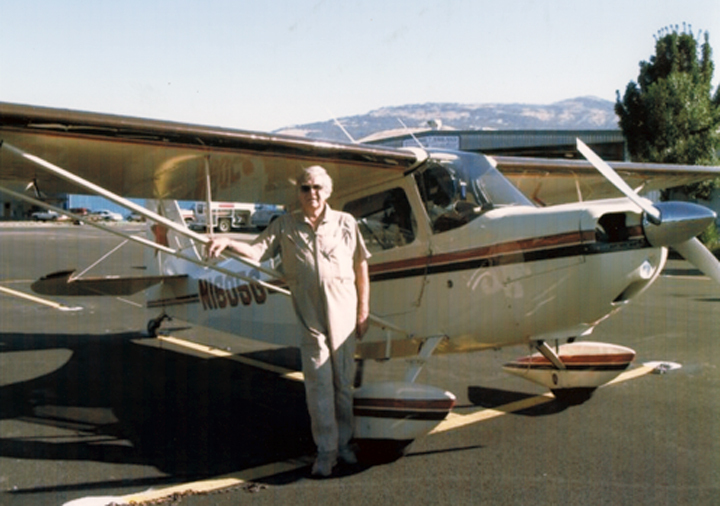 As I mentioned in my previous post (link above), he had learned to fly as retirement approached, and after a few years of airplane rentals, he purchased a Citabria airplane, and proudly flew it as often as he could. 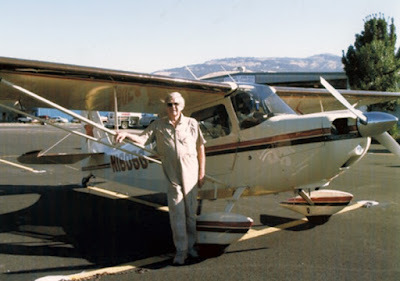 I remember him saying that on a nice morning, nothing would clear your head and make you enthusiastic for the day like driving to the Ashland, Oregon airport (ten minutes from his home) and going up in the Citabria for 30 minutes or an hour. Here he is with the plane at Ashland. Another important aspect of Richard’s life was his interest in automobiles. 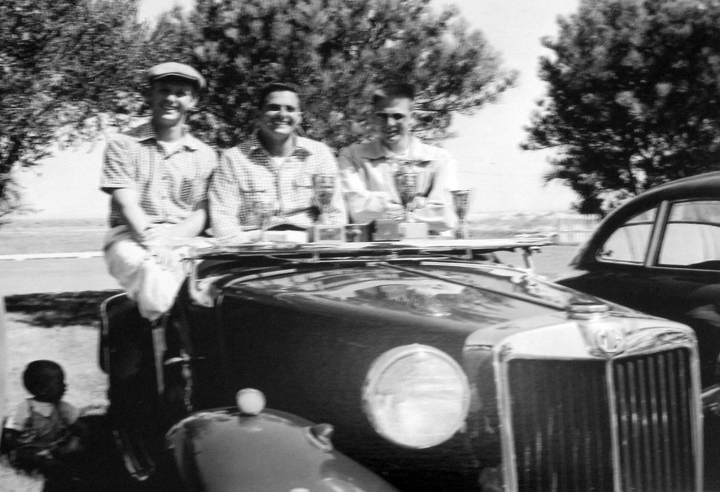 Having held a competition license at one time, and having worked as a racing mechanic, he knew and loved automotive performance, and drove peppy cars all his adult life. After his Navy service during the Korean War, he earned a Bachelor’s degree at U.C. Santa Barbara. The photo below, taken at Santa Barbara in 1955 when Richard was 23, shows him (at right) in his MG TD with the third-place race trophy he had won. Last, I want to show a photo of Richard’s workbench. 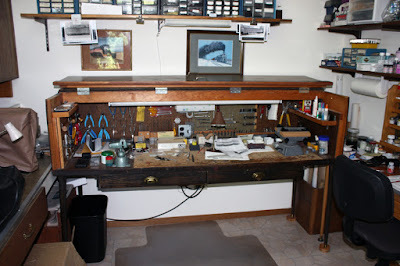 Built when his children were small, and thus needing to be capable of being closed and locked, it reveals his tidy arrangements of lots of tools (though there were still more tools in drawers), along with some projects on the bench. Above the bench on shelves were vast numbers of freight car parts, of every imaginable kind. Just visible in this view is the fluorescent tube inside the top of the bench, which gave plentiful illumination. I now have some of the tools you see here, and rescued most of the in-progress projects, as I have mentioned in a few previous blogs. Most are on the way to completion, a few are now finished. But now to what is perhaps a more interesting topic. I was asked recently, what was my recollection of the most outstanding thing about Richard’s modeling? It is an interesting question, and in trying to answer it, I want to go beyond the comments I made in writing the In Memoriam post I wrote about him (see link in the first paragraph of the present post). My core thought on this subject, of Richard’s truest talent, was his ability as a kitbasher, and that talent in turn arose from his phenomenal memory. 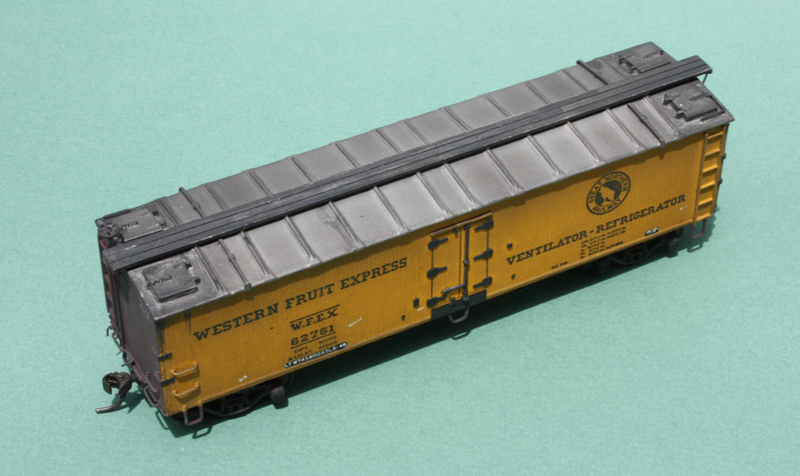 Back 30 or more years ago, modelers of freight cars didn’t have an awful lot to work with. 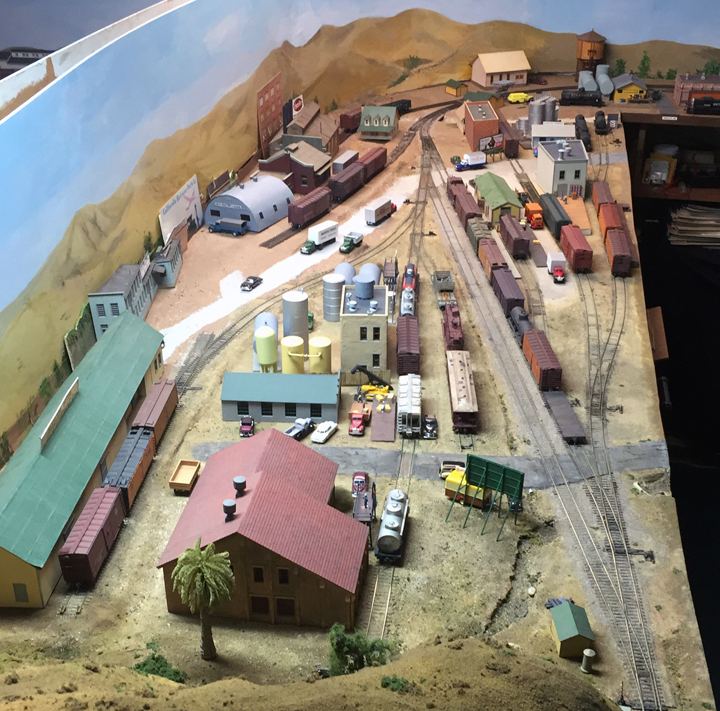 Resin was just emerging as a pathway to short-run kits for freight cars, and the accurate models of Innovative Model Works, Red Caboose, and InterMountain, and such successors as Kadee, Owl Mountain, or Tangent Scale Models, were still in the future. 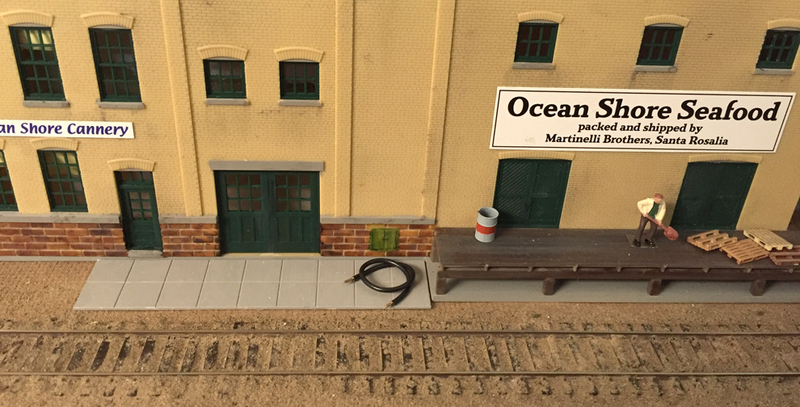 Instead, we had the injection-molded products of Mantua, Roundhouse, and yes, Athearn in Blue Boxes. Richard had spent a lot of time poring over those models and knew in great detail what the components (ends, roofs, etc.) were in each case. That is where the memory came in. He had spent even more hours poring over Train Shed volumes from different editions of the Car Builders Cyclopedia, as well as model magazines and prototype books. And he could remember the details of many, many prototype cars. So if you were to say to Richard, back in the day, “I would really like to model one of the high-side gondolas of the Wheeling & Lake Erie,” not only would he know the prototype you were thinking of, but would immediately say something like, “Well, the Mantua gondola has the right number of ribs, but you would have to change the ends. Probably the Athearn gondola end could be cut down to fit.” I could multiply examples like this endlessly. 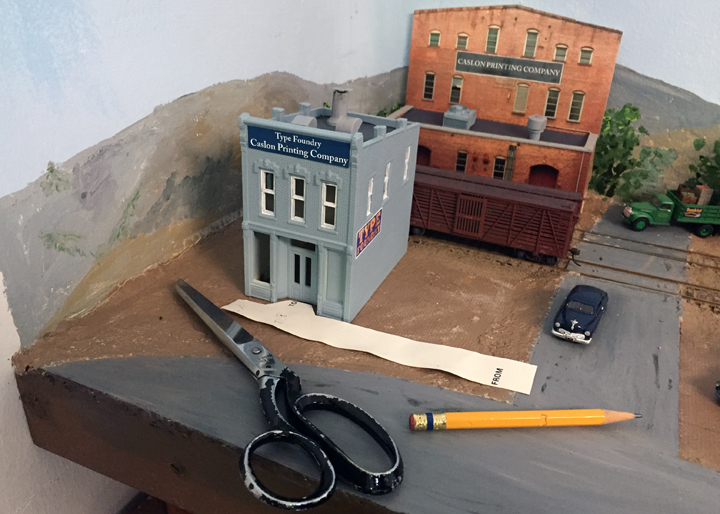 This project brought into play all his modeling skills, and more importantly, his combination of prototype freight car knowledge, and knowledge of available model railroad parts and what they could represent. For the underframe, he represented the steel center sill along with the truss rods, and did include K brake gear (all right for his modeling year of 1947), but did not otherwise add the kinds of detail that would not be visible when the car was on the track. Note, though, that he did include the brake reservoir servicing stencil. Or for a more extensive kind of kitbash, I greatly admire his model of a Santa Fe automobile car of Class FE-13. He has reproduced the reverse corrugated ends on these rebuilt cars, with modern steel sides, doors and roof (note roof is slightly raised), but still with its original, very deep underbody sills set back from the car side. This is not only a very distinctive prototype, but a model created from a range of different parts, assembled into an impressive model. These are only two of his models, but I think they help convey Richard’s modeling skills. Still, that is only one of things I miss about my friend Richard Hendrickson. In the world around us, we are accustomed to most walkways being paved in some fashion, commonly concrete. This is as true in industrial settings as in residential and commercial areas. 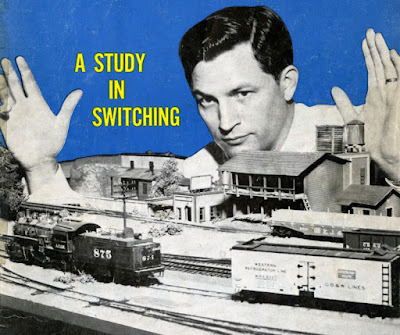 So one would think that the same would be true on model railroad layouts. In fact, it often is not, and this post sets out to address the point. Anyone doing a city or town scene, with buildings close together and urban-style streets, naturally includes sidewalks too. But around industrial buildings, and even in residential settings, those walks are less commonly modeled. I am not trying to point any fingers, because I am as guilty as the next modeler. But I want to change that. My project in this connection is to work out where there should be paved walkways around my structures, and to start adding them. I like the Evergreen scribed sheets with rectangular patterns, and use them where I can, though of course you can easily scribe your own desired size and shape of the grooves at the “joints.” If you have watched workmen laying concrete sidewalk, you have seen a tool called a groover used to incise those “joints.” The purpose of the joint grooves is to control subsequent cracking of the slab, and restrict it to the groove locations. Accordingly, these grooves are an essential recognition factor for concrete walks. Also visible, of course, is the house track and its unloading platform, to the left of the depot. I have in several instances already added concrete pads or walkways near industries to facilitate passage of workers or employees. 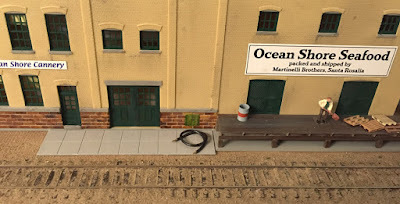 One example is my recent post about the tank car unloading spot at the cannery in my town of Santa Rosalia (see that post at: http://modelingthesp.blogspot.com/2018/06/more-tank-car-unloading.html ). Another example is the small commercial area near the depot in my town of Shumala. There is a nearby parking area, but it’s at a lower level. In the past, I had a small piece of stairway material, simply lying in place against the bank. It didn’t look very realistic, as you can see in the photo below, though at least there is a sidewalk in front of the businesses, and a railing along the top of the roadway wall. The outdoor seating area at right, of course is served by the Dolphin & Anchor Tavern. Recently I added a little piece of styrene sidewalk to extend the existing walkway, added a railing to the stairs, and positioned them in a reasonable way to reach the upper level. The sidewalk was made from the same Evergreen product used before, sheet no. 4518 with 1/2-inch squares, so that the grooved squares would be the same size. I think this looks far more reasonable as a way for patrons of these businesses to climb up from the parking area to the walkway. 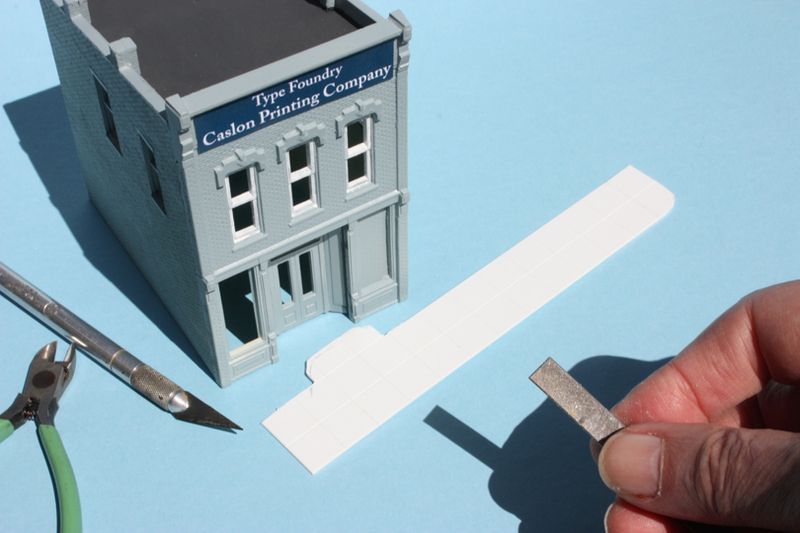 Here again, I could have used the scribe-and-snap technique to cut my sidewalk shape from the Evergreen 4518 styrene sheet, but since I had the odd shape extending into the doorway of the building, I used the heavy scissors you see in the photo above, and cut out the styrene oversize to permit fitting it into that doorway accurately. Below you see a view of a file being used to complete the fitting. The new sidewalk needs of course to be painted a concrete color and weathered, but those are routine steps. These kinds of added features on layout scenes, walkways and sidewalks, complete many scenes with a familiar presence, the concrete or other paving that is so widely used around buildings. 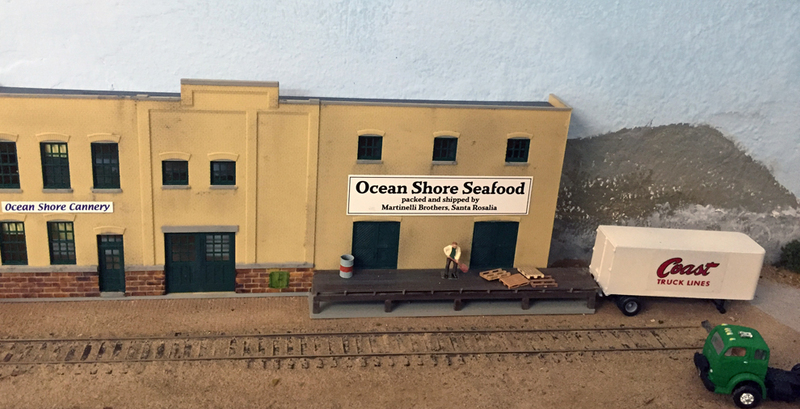 I plan to add more of these in the places they are missing on my layout. 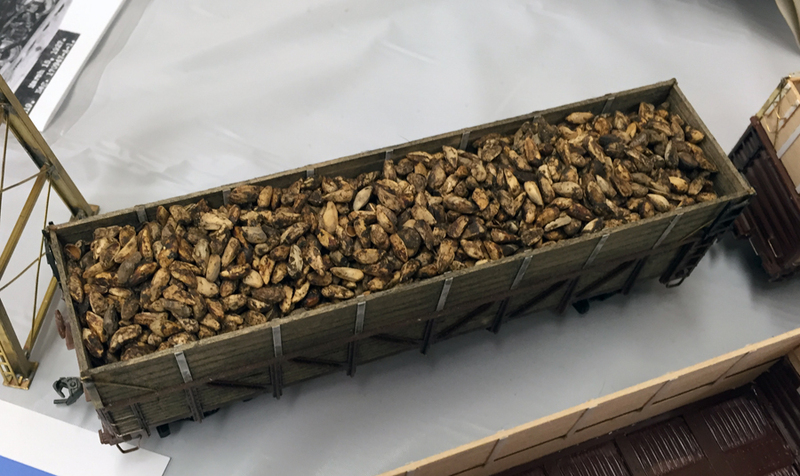 It was interesting at the BAPM 2018 meeting last Saturday (June 16) to see a number of things exhibited that had to do with sugar beets. (My general post about the meeting is here: http://modelingthesp.blogspot.com/2018/06/bapm-2018.html .) These included some model displays that I will show presently, but among the striking things shown was a good prototype photo reminding us just what a sugar beet really looks like. This was shown by Dave Maffei, and having a human in the image for scale is quite helpful. 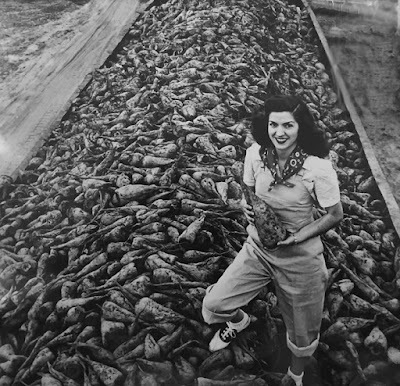 The photo is a 1946 ACME press photo from the Dave Maffei collection.And yes, they really are beets, being members of the Beta genus, with the interesting species name of Beta vulgaris. For a closer-up look at these beets, here is a down-on view of one car from Dave Maffei’s fleet. The color here is good, and the beets correctly look dirty. These are not washed when harvested (that will be done at the sugar factory), so there should be a suggestion of field dirt on beet loads. But as I said, they are a little on the large side. My own beet loads are the Chooch ones I showed in a prior post, after being cut down to fit inside Red Caboose SP gondolas of composite design (you can see that post at: http://modelingthesp.blogspot.com/2018/06/sugar-beet-loads-part-2.html ). I showed two such cars at the recent BAPM meeting (see link in the first paragraph of the present post), along with a beautiful model of a Blackburn beet rack built by Pat Bray. Here are those cars at the head of my display train, with the beet rack at left. The “beets” in the Chooch loads do not have the tapered look of the prototype, but are about the right size and color. A short comment on harvest seasons, if one wishes to only operate carloads of sugar beets in the correct part of the year. Northern areas like Idaho and Minnesota have a single harvest in mid-fall, say October 1 and thereabouts, but in California it was and is true that staggered harvests are the norm, and beets are harvested and shipped from late April to the end of September. On my layout, operating session dates are always the current date, except that the year is 1953, so any operating session falling within the California harvest range can accommodate carloads of beets moving on the main line of my layout. I continue to be interested in sugar beets because of their familiarity in California railroading back in the transition era. My layout may not be set in a beet-growing area, but its Coast Route main line was definitely one of the principal routes for moving “the roots,” so I need to model them. This series of posts describes my efforts in that direction. 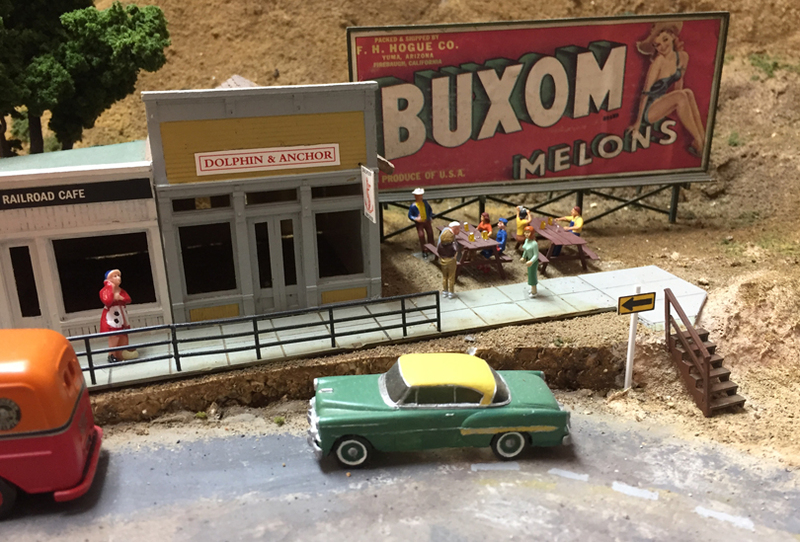 As I have described before, the annual meet of BAPM (Bay Area Prototype Modelers) takes place in June, this year on June 16. I always enjoy attending, and I would say that this local meet is typical of many, many RPM (Railroad Prototype Modelers) meets all over North America. There were the usual roughly 120 attendees, and lots of models displayed on the tables provided. There were four talks also, several tables for vendors, and in addition, a convenient snack and lunch service at one end of the display room. Among all the displays, some of the models of most interest to me were the fine graffiti renditions of Scott Kelley-Clement. I photographed several of them and really enjoyed seeing them, but will just show one example here. As it should be, it was presented along with the prototype photo (as Scott did for nearly all the cars he exhibited). 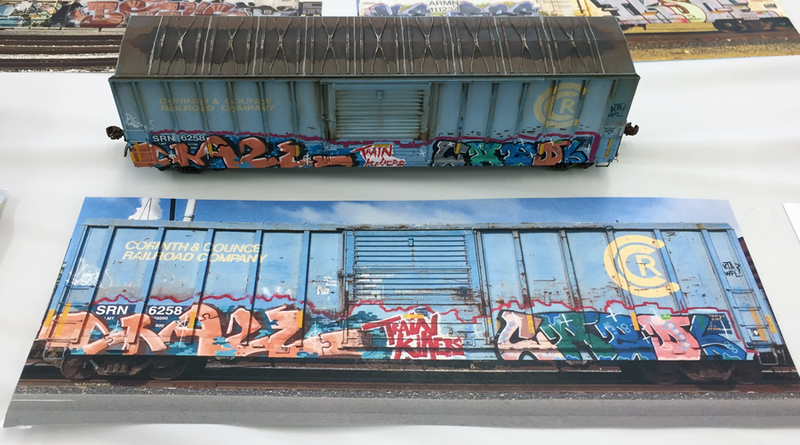 I also liked another outstanding example of modern modeling, taking advantage of the way(s) freight cars today may change ownership and be patched or otherwise modified to the new owner’s lettering. Here are two of Tim Keohane’s cars, both very nicely done, to my eye. I definitely liked and enjoyed seeing the very attractive GE 44-tonner for Pacific Electric, built by Brian Zine and painted and lettered by Brian Williams, which is destined to Dave Stanley’s layout, the Morada Belt Railway. This is a diesel locomotive, of course, but has a trolley pole to actuate signals on PE trackage. 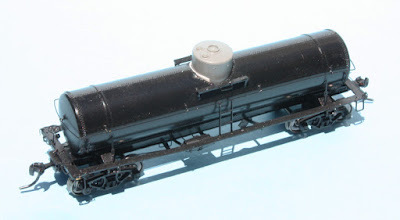 Lastly, in addition to the models I displayed as a full train was a single model I took to exhibit separately, my HO scale helium car model, in recognition of all the discussion in recent days about helium cars on the Steam Era Freight Cars internet list. (If you’d like to join, just Google that name.) The model is shown below, with the kind of informative tag I almost always display with models. This model, some of its prototype background information, and the details and challenges of its construction were described in a series of prior posts, ending with this one: http://modelingthesp.blogspot.com/2012/11/helium-cars-part-3.html . 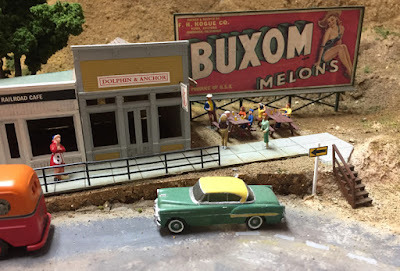 I always find it fun to attend RPM meets anywhere, but there is a special flavor when it’s a local meet with some of your (almost) neighbors exhibiting models, and also, of course, circulating in the room to view the models and enjoy some fellowship with old friends. This BAPM edition was no exception. 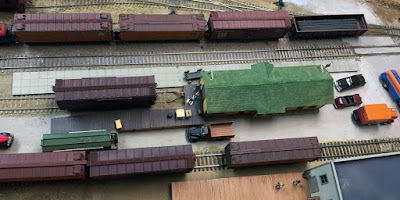 In previous posts to this blog, I have described how I represent tank car unloading on my layout. In particular, I have several locations where tank cars would be bottom-unloaded, that is, unloaded by gravity, through a bottom outlet connected to a hose. I showed some details of the modeling (for example, at: http://modelingthesp.blogspot.com/2015/09/modeling-really-minimal-oil-dealership.html ), though most of the previous cases that included hose unloading were at places where I had made duckboards as walkways for workmen (my duckboard modeling method was shown in this post: http://modelingthesp.blogspot.com/2015/08/duckboards.html ). But I have some locations on the layout where I don’t think duckboards are as likely an arrangement. One of them is at my cannery in the seacoast town of Santa Rosalia, which receives vegetable and other edible oils by tank car, to use in fish canning. It has a loading dock for boxcar shipments in and out, but doesn’t have (yet) any indication of how tank cars would be unloaded. 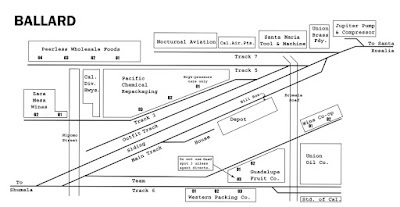 Shown below is a high-angle view of the industry as it now is, with the loading dock at right. One plan would be to add a short concrete pad just to the left of the loading dock, and a coil of hose, along with a pipe connection of some kind. 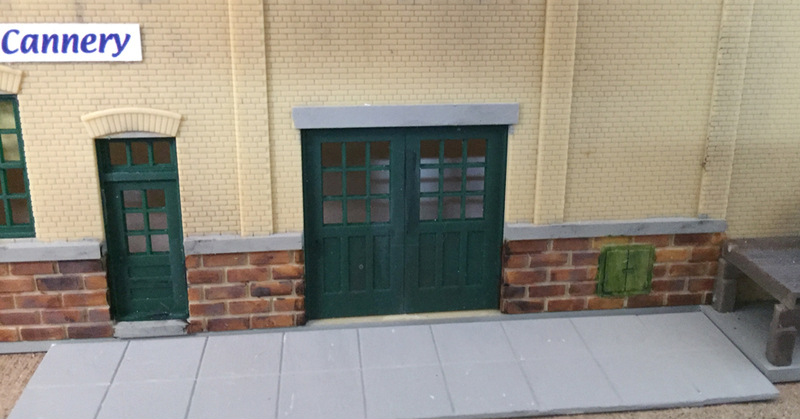 But the two doorways to the left of the loading dock certainly call out for a sidewalk of some kind, since employees using those doors would likely prefer not to work on or regularly pass across the dirt outside. 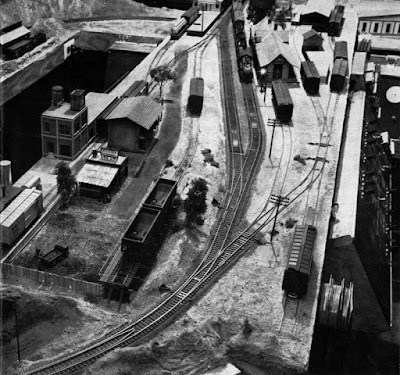 Accordingly, it seemed a better plan to make a wider concrete walkway, extending along the side of the cannery building, to include both doorways and to connect to the foundation of the loading dock, represented as concrete also. 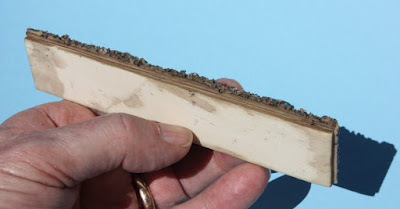 To make a sidewalk, I used a piece of Evergreen styrene sidewalk, part no. 4518, with half-inch squares. The styrene piece is simply painted a concrete color (using paint modified years ago from Floquil Concrete, which I thought too dark and too gray). Note the small green metal door to the right of the double door. That might well enclose the pipe connection. In this photo, you can see the difference from the rather bare appearance in the top photo. Prototype photos of tank car unloading hoses tend to show pretty short hoses. 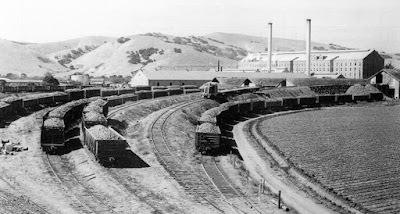 To illustrate, shown below is an SP photo of tank cars unloading locomotive fuel at San Luis Obispo, and it’s evident that these hoses are not particularly long. I do usually tend to model them longer, but probably unnecessarily so. This photo also illustrates duckboards (see comments in the first paragraph of the present post), though I am not modeling those in this case. The next step is to make a hose to be stored on the concrete pad. I usually use no. 22 wire for this, with a black insulation, because black hoses are so common. 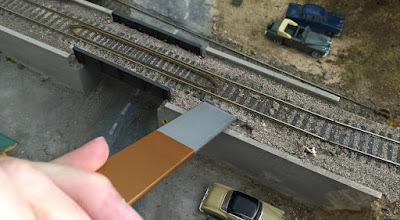 If the last 1/8-inch or less of each end is stripped and painted a bronze or brass color, it will definitely look like a hose connection, especially in a location like my cannery, which is back a ways from the layout edge. For a more foreground type of location, I can slip a piece of brass tubing over the wire end. Here are a couple of wire “hoses” with ends painted with Floquil Gold, but any gold- or brass-color paint would do the same. There is also a good Tamiya color, Dark Copper (color no. XF-28), that I use for some fittings like these. I chose the coiled-looking one in the photo above to add to the Cannery unloading spot. Having it there definitely reinforces the idea that tank cars can be destined here for unloading. You can click on the image to enlarge it if you wish. 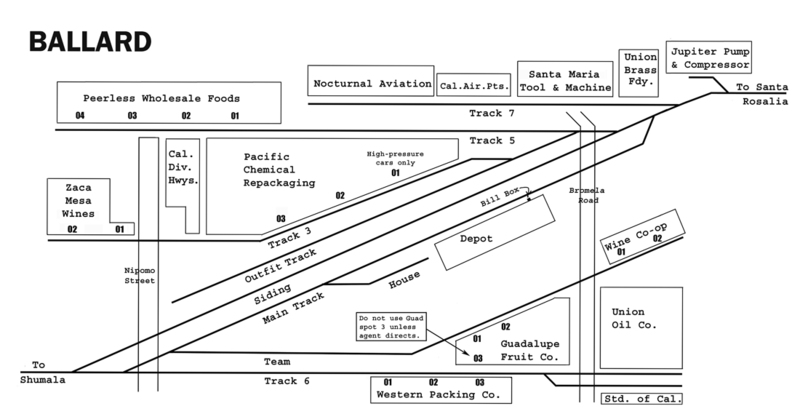 I like there to be some logic to the appearance of industries, especially with respect to how freight cars would be loaded or unloaded at each one. This is a theme that can be noticed in a number of my posts about model industries, and this particular one is just another in the series. 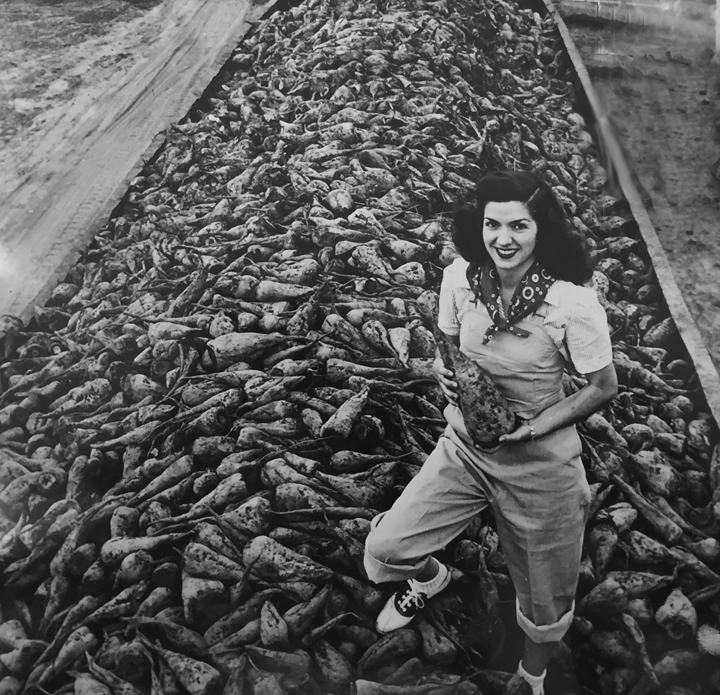 In much of the Far West in the transition era, sugar beets were an important and lucrative crop. This was certainly true in the area I model, the Southern Pacific Coast Route, along which sugar beets moved in both directions, due to sugar factories in both northern and southern parts of California. So although the particular mythical branch line I model does not lie in beet-growing country, it certainly does see mainline traffic in beets. (I touched on some of these traffic aspects in one of my posts that presented parts of an interview with Malcolm “Mac” Gaddis. 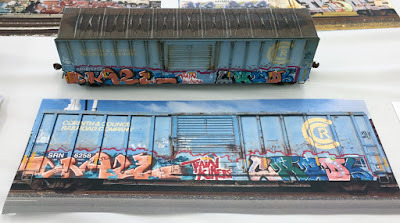 That post is here: http://modelingthesp.blogspot.com/2011/01/modeling-freight-traffic-coast-line_19.html ). 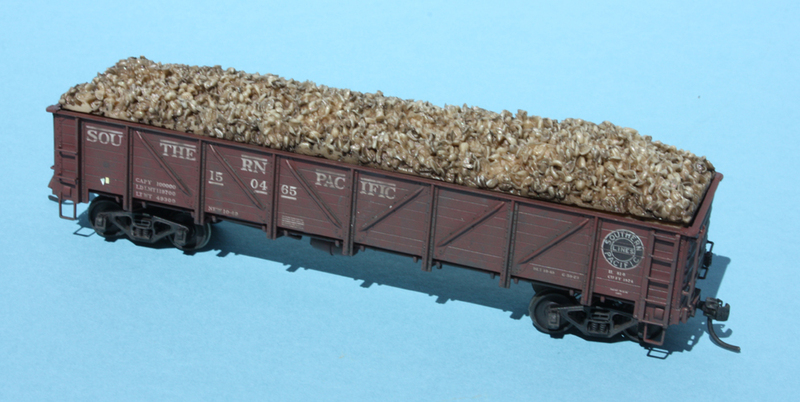 In accord with the idea to include sugar beet loads in my mainline trains, I devoted some thought and effort to making my own removable beet loads, using fenugreek seeds. My results were not quite as successful as I’d like, but they wee all described in an earlier post (if you like, you can find it at this link: http://modelingthesp.blogspot.com/2014/08/modeling-sugar-beet-loads.html ). Recently I came into possession of some of the old Chooch molded-resin loads which represent sugar beets. They show a reasonable size of the model beets, though they are not quite as irregular as real sugar beets, and overall have a good look. They came two to a package, and as noted on the label, part 7241 is for Red Caboose HO gondolas. When you put this load into a Red Caboose gondola, sure enough, the load looks significantly too high. The image below shows the look we are striving for: fully loaded but not onto the car sides. 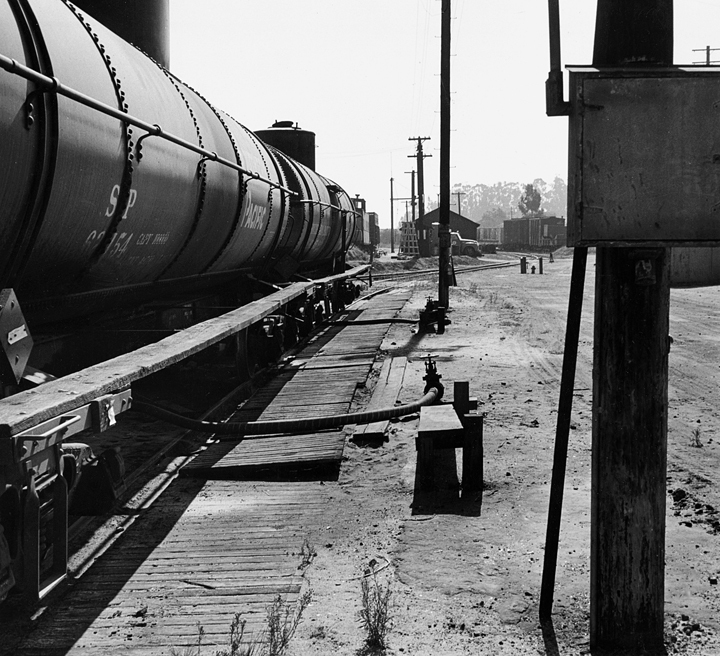 This is a Southern Pacific photo, taken in 1948 near Salinas, California (John R. Signor collection). The loads of beets await unloading at the Spreckels Sugar plant in the background. Though some of the cars are the obsolescent beet racks, many are the new composite GS gondolas (like the model car shown above). The loads stand above the car side, but are nevertheless are entirely inside the car sides. It seemed to me that I needed to remove the protruding edges of the Chooch load and allow the load to sit down inside the gondola. I used a heavy rasp to remove the excess resin at the edges of the casting. This gave a better fit (as I show below) but did expose white resin along the sides. Since I want these sides inside the car, however, they may not even need to be touched up. But when the trimmed load is set into the car, it sits down too far. Some cars may have been partially loaded like this, but usually they were quite full, as you see in the Spreckels photo above. The photo below illustrates the problem, though at least it is realistic to have the load entirely inside the car. So I used a couple of shott lengths of scale 10 x 10-inch lumber to glue spacers onto the bottom of the load. The height of these spacers could have been a little higher or lower, but this size does give a reasonable look. With the spacers shown above, I was pleased with how the car looks when the load is put into the car. This corresponds, to my eye, with most prototype photos from the days of the beet gondolas without side extensions, such as the photo at Spreckels, above. 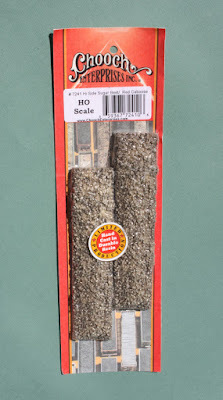 With these adjustments, I will go ahead and produce a set of beet loads for my layout. As I mentioned, these only pass by on the SP main line, but they are a characteristic part of Coast Route traffic, and I want to include them. The title here, about completing a Sunshine kit, might seem lik an odd one. But it reflects a problem that emerged in the last days when Sunshine Models was still in business. Some kits were packed with the very last parts in inventory, and occasionally those parts weren’t quite the right parts. That is what happened with a very late kit I bought, kit no. 87.4, for a General American Type 30 tank car, 8000-gallon capacity, with Rohm & Haas Chemical Company decals. The problem was that the dome casting in the kit I received did not fit the hole in the tank body, but was substantially too large. Here is a photo of the model, assembled and painted by Dennis Williams. The diameter of the opening in the tank body is about 0.62 inches, while the dome supplied has a diameter of 0.72 inches, not close to fitting. 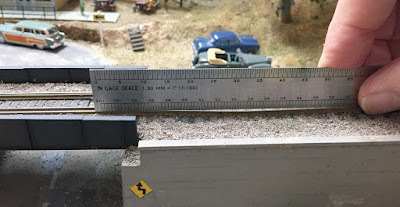 (The 0.72 inches happens to be the diameter of the Athearn tank car domes.) Probably it is the correct dome for the Sunshine 10,000-gallon tank car. Anyway, after looking without success through all the tank car parts and kits I have on hand, and after asking some of the “usual suspects” who might know where to find the correct Sunshine dome, and striking out, I decided to just make one. An easy route to a new dome was available. I have a piece of Plastruct tubing on hand, which is nominally 5/8-inch diameter (Plastuct TB-20); its diameter measures out at 0.634 inches. So I can just remove a modest amount of material, and it should fit into the hole. It may also appear that an advantage of this use of Plastruct tubing is that Plastruct makes matching end caps, including an elliptical style, that match the tubing diameters. More on that in a moment. How tall should this dome be? The regulations specified a minimum volume for expansion domes at 2 percent of the tank volume, 8000 gallons, so the dome should hold at least 160 gallons. Given the dome diameter, set here by the Sunshine body casting, which is 54.8 scale inches, we can use the formula for a cylinder, with length taken as the height of the dome above the body (shown as dimension H in an explanation of this calculation, available at: http://modelingthesp.blogspot.com/2012/10/naperville-tank-car-handout-part-2.html ). Why the height? Because the dome volume was figured in excess of the shell-full volume, that is, filled up to the top of the horizontal shell. We of course will use the cylinder formula to find the height H in this case. The result, which is the minimum dome height, is 15.6 scale inches. I cut a piece of the Plastruct tubing, and sanded it down slightly until it fit the hole. Here is a photo of the piece of tubing inserted into the Sunshine model’s tank hole, with the dome casting I received next to it. You can see the diameter discrepancy. This tubing piece is about 18 scale inches high at the tank top, thus exceeding the required minimum height. The dome top is the next step. The Plastruct part that matches tubing TB-20 is VHE-20. The rise of the ellipse on this cap is quite a bit too large, but the part is made of a pretty soft acrylic plastic and as such, is easy to modify to the shape you want. Nevertheless, modifying the Plastruct cap to a lower profile by filing and sanding turns out to be a long process. I got partway and began to wonder if this was the right approach, because the top would remain so rounded. Here is a look at the candidate dome at this point. It is headed in the right direction, and I think it could eventually work. But I decided to keep it for the moment as a backup, and to go ahead and try a simpler approach first. For this approach, I first cut and sanded another piece of tubing. Then I simply used a piece of sheet styrene (which happened to be greenish), glued it to the piece of tubing as you saw above, and sanded it to the outer diameter of the tube. This piece was then sanded to curve it toward the dome edges. This is easier and quicker than filing down the Plastruct cap. Here are the two caps, with a grab iron already added on the left. These are to be added on both sides. Now the excessive “rise” of the Plastruct cap is avoided, but at the expense of having almost no rise at all. The prototype dome tops are convex over their whole diameter, whereas I can only really taper the edges of a flat plate. Although either of these domes would probably pass muster on a black car, as this one is, I still did not entirely like what I was accomplishing. I went back to an earlier idea, to see if any of my inadequate kit domes might be close enough to use. 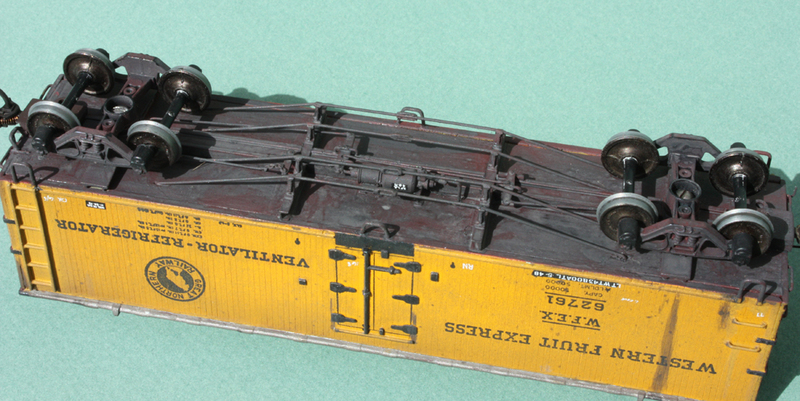 From that perspective, I could make the smaller Tichy dome, from the original Tichy USRA tank car kit, do the job. It is a little too small in diameter for the Sunshine body opening, but it appeared that a shim of something like 0.010-inch styrene could fill the gap. The dome could then be set into the tank body and have a scale 16-inch height, just the right size. This looked like the best bet to me. You can see part of the white styrene shim at the base of the dome. 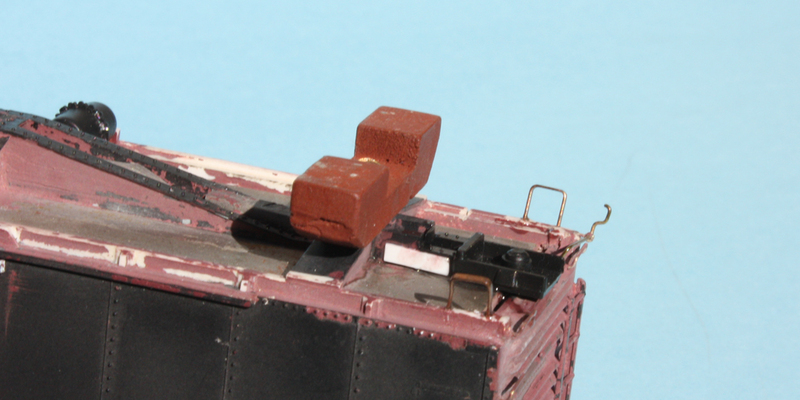 The top of this dome has bases for both the safety valves and the manway, both of which are included in the Tichy tank car detail set, and which can readily be added. Now that I have a solid approach to this dome replacement, I can proceed with the detailing of the dome, painting, and then lettering the car. I will show those steps in a future post. This project amounts to the completion of an automobile car model that Richard Hendrickson had started but not completed. 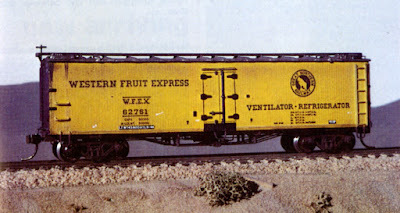 I eventually tracked it down as a model of a Santa Fe Class FE-25 car, a rebuild with modern steel sides and roof, but with re-used corrugated ends and underframe. Photos of the model as it came to me, and prototype information, are in the first post on this topic (you can see it at: http://modelingthesp.blogspot.com/2017/01/another-hendrickson-car-project.html ). That post also provides a link to my comments appreciating Richard’s life and contributions after he passed away in 2014. The most recent post in the series about this model showed how I approached the completion of the car’s underframe, including coupler pockets (that post is at this link: http://modelingthesp.blogspot.com/2018/04/hendrickson-auto-car-part-4.html ). 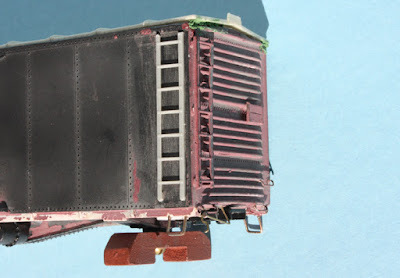 In that post, I simply showed the fitting of the coupler pockets to the auto car underframe. To attach each pocket, I softened both the end of the underframe, and the mating end of the coupler pocket, with styene cement, so that they could be directly bonded. I then placed a small dot of CA on the steel weight, where the coupler pocket would rest, and pressed the coupler pocket end against the softened frame end while gently pressing the pocket down into place on the steel weight to spread out the CA. This made two good bonds. But it seemed to me that even with these two good bonds, the separate coupler pocket could have the problem of inadequate strength when subjected to pulling forces when the car is operated in a long train. Thus I decided to make splice pieces of styrene, to strengthen the joint between the end of the underframe in place, and the newly added coupler pocket. I used Evergreen scale 1 x 6-inch strip for this. In the photo below, the splice is the white strip on the frame. The same interim truck support blocks are still on the car, as you see at the bolster. The second problem is to match the end ladders that Richard had applied, with ladders having identical rung spacing. After looking at a lot of stashed ladder sprues, I came up with a match: Grandt ladder set 5124. I’m sure these are right, because the rung style and detail matches Richard’s installation, as well as the rung spacing matching. I will show those below. But there is a complication: the Santa Fe side ladders had 8 rungs, and the Grandt ladder only has 7 rungs. I will have to add one rung. But here is the Grandt ladder, added in stock condition, photographed so that you can see the rungs lined up between side and end ladders. The eighth rung was added by cutting up another Grandt ladder from the same set, and adding it at the bottom of the previously added ladder. What is needed is about 6 scale inches of added height, plus that final rung. Below is shown my added rung. The slightly visible gaps in the ladder stiles will be filled before painting. This arrangement captures the prototype 8-rung ladder appearance. With these details having been completed, the car is essentially ready for the paint shop. I will turn to the painting and lettering issues in a future post. As I described in an earlier post, there are a few areas on my layout where track has begun to sag gently below its intended profile. Given that parts of the layout have been in place over 30 years, I suppose this is not really unreasonable, though I don’t understand what may have caused these sags. The real point, of course, is to correct them, as I showed in that previous post (see it at: http://modelingthesp.blogspot.com/2018/05/fixing-sags-in-track.html ). In that post, I used an ordinary carpenter’s wood chisel to drive under the track and into the roadbed, forcing it to rise. Carefully choosing the insertion points allowed me to entirely fix the problem in the area I illustrated. But in one of the comments to that post, Dan Smith suggested I would have been better off to use what is called a “splitting chisel,” because it doesn’t have as great a diverging blade (or as Dan put it, it’s not as “wedgy”). This was an intriguing idea, so I bought such a chisel. It’s shown below. 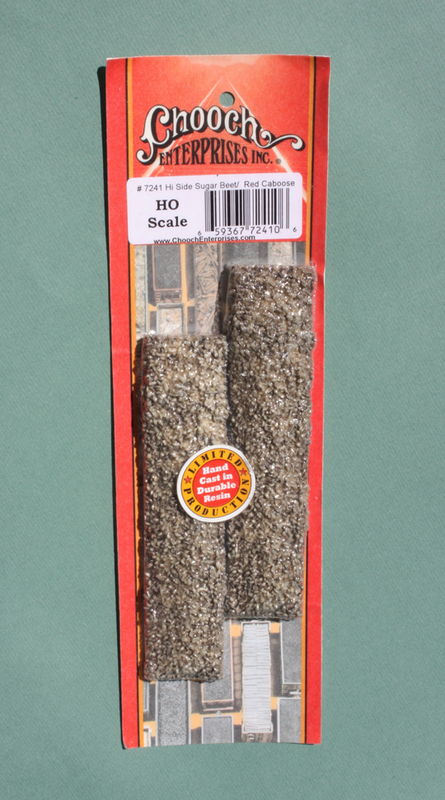 This is a Gedore tool, made in Germany by a well-regarded hand tool company, and can be found for sale on any number of internet tool sales sites. As Dan mentioned, it’s often in the range of 10 to $12 for a well-made tool like this. I did note right away a distinct difference between the two kinds of chisel. The wood chisel has a very sharp edge, and thickens considerably behind the edge. The splitting chisel has a 45-degree edge, not really sharp at all, but doesn’t thicken. One thing I wanted to watch in my next sag fix was to see which chisel did a better job for my problem. Obviously both chisels have their place, but which one would work better on these track problems? One annoying sag that needed to be fixed had developed at a point near where another sag was previously fixed (see link in first paragraph of this post). The previous sag was in the main line; this one is on the beginning of the branch, and not surprisingly, at a similar point in the benchwork, suggesting some structural origin. Anyway, although a short sag, it does affect steam locomotives, which can get all their drivers down into the sag, reducing tractive effort. It definitely needs fixing. In the photo below, you can see the sag beneath the ruler. As in the previous project, I began by driving a chisel underneath the track. But the splitting chisel, not being sharp, really cannot be used at the beginning. Instead, I again used the wood chisel to start an “incision” under the track. Once it was started, I tried extending it with the splitting chisel. This kind of works, but I have to say that there is no real advantage to the splitting chisel. The reason is that the wood chisel actually isn’t driven so far inwards that its thicker blade comes into play. I did work with both tools, but found I could do all I needed with the wood chisel. Once again, I was able to use the wood chisel by hand (once the incisions were made) to wiggle enough under the track to get everything pretty much lined up and the sag removed. I then had to re-ballast and clean up the area of work, but that’s not anything different than any other track ballast work, so I won’t show that. Here again, I was able to remove the sag, essentially by wedging under the track to raise it up where needed. I have a couple of other areas on the layout that need attention also, and will now proceed to work on those.